Is your tote bag making you sick? A research paper published last year by professors at the University of Pennsylvania and George Mason University found San Francisco’s ban on plastic bags has had significant negative repercussions on public health. The study, released in August, found a spike in San Francisco hospital emergency room treatment due to E. coli infections and a 46 percent increase in deaths from foodborne illness in the three months after the bag ban went into effect in 2007. E. coli bacteria, common in the human intestine and frequent suspects in food poisoning, can range from harmless to lethal. 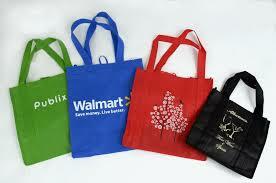 Laws against plastic bags often encourage the use of reusable totes to transport groceries. But as people tend to neglect washing those bags, increased food contamination becomes likely.